Remember back when you first wore that brand new rain gear or slept in a new tent and anytime it rained the water would bead and you would stay nice and dry. As this equipment becomes older the waterproofing treatment (DWR) wears off and all of a sudden you find that you dont stay quite as dry. Nearly all waterproof equipment will go through this stage and when it does this is the time to use Nixwax TX. Direct to help replace that coating and return your gear to its former glory. Nixwax TX. 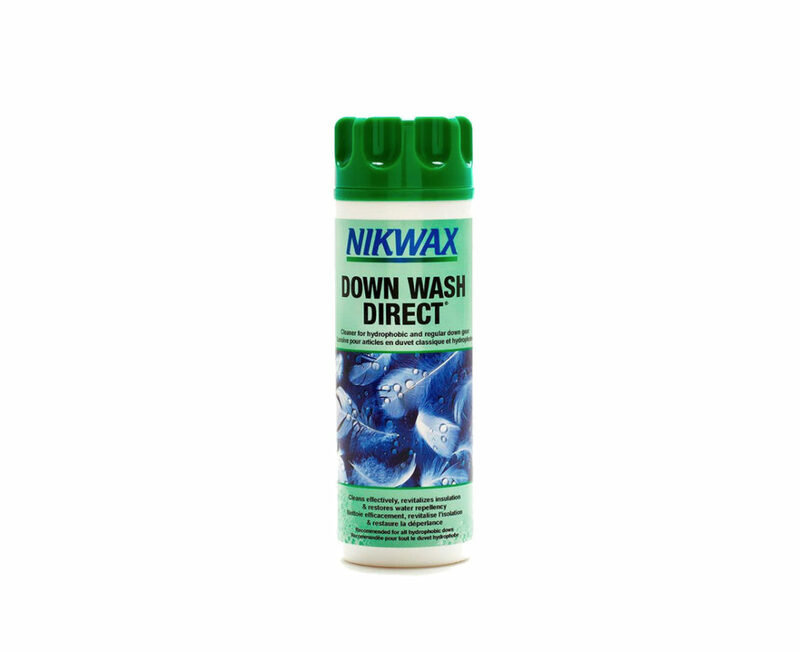 Direct replaces the DWR coating that has worn off on older waterproof equipment such as rain gear and shelters and is designed to used as a two part system system with the first step being to wash the gear first with Nikwax Tech Wash. Depending on how often you are using your equipment and how much gear that you have a bottle of Nixwax TX. Direct will do three washes. As a couple what this means for us is our tent (rainfly only) and two sets of rain gear which the you look at it that way is about $17/year/person which is not a bad investment. If you don’t use your get very often you may only need to use this product every couple of years. When you’ve spent money on good quality waterproof gear you want it to keep you dry otherwise why bother. Use this product when your waterproof fabric (tent or wet weather gear) doesn’t bead when it gets wet. While this is one of Nikwax’s dearer products it means that you will extend the life of your waterproof equipment. This product is aimed at replacing the DWR treatment on waterproof fabric such as tents and rain gear on older equipment. Use as the second step after applying Nikwax Tech Wash. This review was done with product purchased at a retail store by Australian Hiker.